Munich can be a great destination for high-end shoppers (less crowded than Paris and about 15% tax-refund) but it can also be a great destination for budget travellers! Arrive on Saturday afternoon and leave on Sunday evening. So it wouldn't be a burden if you are staying at a just-friend kind of friends. Always keep a bottle of water with you and the student card. Buy a daily ticket of €6, take the U-Bahn map and the city map and take the U-Bahn to Marienplatz (the city center). The first thing you have to do is to go inside the Rathaus and take a lift to the tower and see the beautiful view of the city! You have to pay €2 for adults and €1 for students. If you are hungry, walk to Viktualienmarkt, explore the market and find a small eating place called Vinzenzmurr, where you can enjoy the traditional German food at a very convenient price! (I usually spent max. €4 - €5) Pork knuckle, Leberkäse, weisswurst and so on. It's 18:30, it's time to have a beer at Hofbräuhaus for about €10 you can enjoy the 1L beer and the traditional live music of musicians in Bavarian clothes. - Take a little jog in Theresienwiese (a place where usually Oktoberfest is held). A very wide fresh space of green grass and old buildings at the corners. - Get a daily ticket or walk to Hauptbahnhof (the central station) and get a meal at the food-court and enjoy the view of the busy-ness of people walking, running, chasing the train and so on. - Then take a walk to the direction of Karlsplatz. - Take a tram 27 from Karlsplatz to the Pinakothek to see the art exhibition at the museum. It costs about €1 or €2 with marvellous paintings. - After you are done, take the tram 27 again and stop in Schellingsstrasse (or walk). Explore the 'artists' street' along the way to Universität U-Bahn where you can see artistically designed products, old bookshops and small cafes. - Grab a lunch at Dean and David salad stop, choose your own combination and take your time. - Continue walking to Universität and visit the church and the public library where all the students are busy studying. - There you could see the view of Odeonsplatz in front of the main street. - On the left side is a way to Englisher Garten and to the Chinese Tower where you can have another beer in the middle of the garden. - After you are done, walk back or take a bus to the city, pack your stuff and ready to go back home. These are just some suggestions and you could adapt them yourself to whichever is convenient for you! Have fun and enjoy Munich! 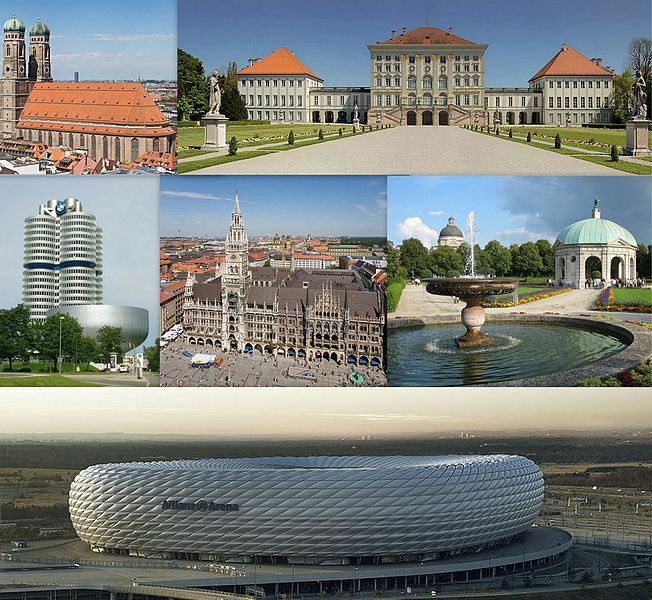 Where Can you Find the Best Public Art in Munich?